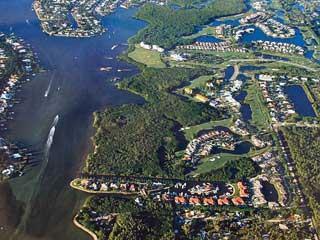 Windstar in Naples Florida is the only gated Country Club community located directly on Naples Bay in Southwest Florida. 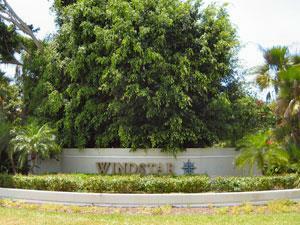 Windstar is situated off Bayshore Drive and just seven minutes from the heart of Olde Naples. 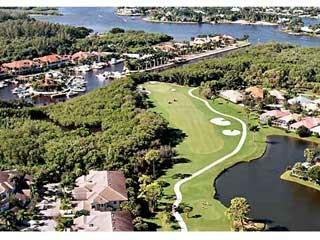 It is one of the only developments in Naples Florida that offers boating and golfing out your back door. There are only 554 residences spread across 320 acres of land with spectacular views of Naples Bay, Tom Fazio designed 18-hole championship golf course, waterfront nature preserves and lakes. The 33,000 sq. ft. clubhouse features locker rooms with lounge area, full pro shop, a fitness center, tennis club with 6 Har-Tru tennis courts, both casual and formal dining overlooking mangrove preserves with Naples Bay in the background. With all the comforts of home available, 72-slip deep-water marina is ideal for boaters and sailors alike. The Marina can accommodate boats up to 72 feet in length. Located within Windstar's Yacht Harbor Cove Community, The Marina has a heated swimming pool and hot tub. The Gulf of Mexico is accessible within minutes by boat (no bridges). Windstar residents enjoy a range of beach, nature and boating experiences without packing up the car - daily during the season, they can take a 30-minute journey on the Keewaydin Queen boat shuttle through the Rookery Bay Reserve to private dock on Keewaydin Island. 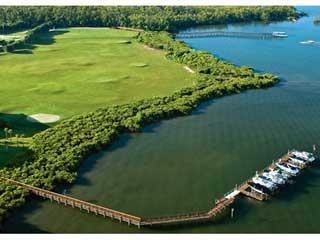 Real estate choices at Windstar include condos, coach homes, villas and custom waterfront estate homes with boat docks.